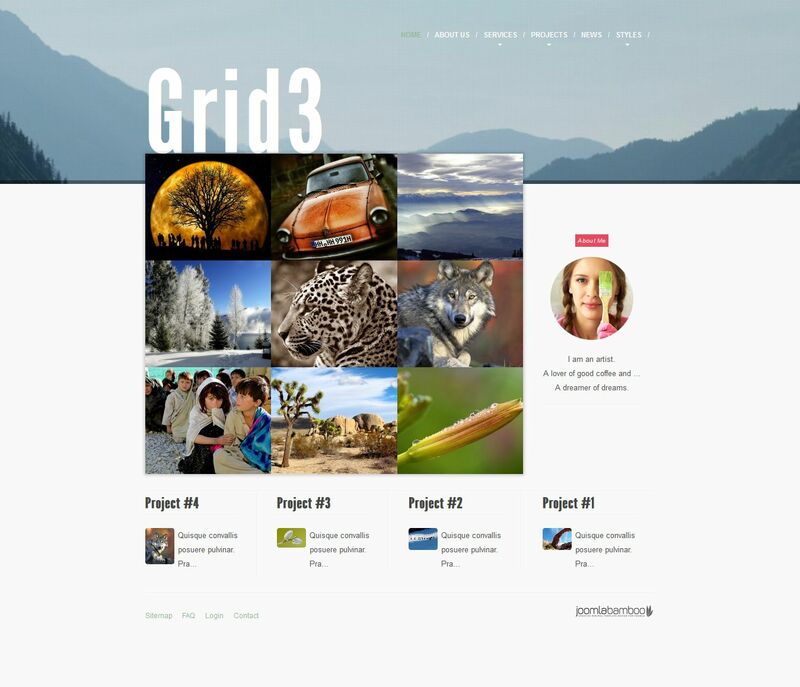 JB Grid3 - the original template for Joomla 3.0 from the popular design studio JoomlaBamboo. This template is designed for functional platform T3v3 Framework, which provides a fast boot, adaptive function and excellent optimization. The template presented 23 color schemes that are easily configured through the built-manager control template. Template settings allow you to change the width of the layout and module positions, change font types, color and much more. Studio tool Zentools able to optimize the image of a site under different screens of mobile devices. JB Grid3 - the ideal solution for creating modern and stylish business cards sites portfolio.